We are 23 days away from this years weeks of action and we take a trip back to 2015 to see what we did during that #WeeksOfAction. The campaign had many supporters with likes of Baroness Tanni Grey-Thompson, Neville Southall (Everton and Wales), Danny Mills (Manchester City, Leeds, Middlesbrough) and many more. 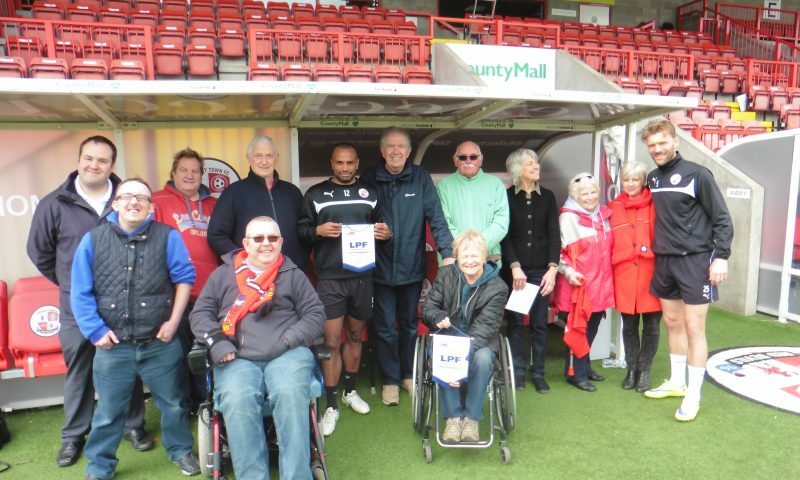 Some highlights of the 2015 #WeeksOfAction saw Joe Ayton talk about his matchday Experience as a disabled fan. Newport County’s DSA launched as a part of LPFs working together project, you can read more of the story by clicking here. We also saw Bradford City DSA and Sheffield United DSA join forces to celebrate the #WeeksOfAction. The #WeeksOfAction campaign may have progressed over the past 4 years, but the message is still the same. We want clubs to showcase the positive work they do and look to provide an inclusive matchday experience for disabled fans.